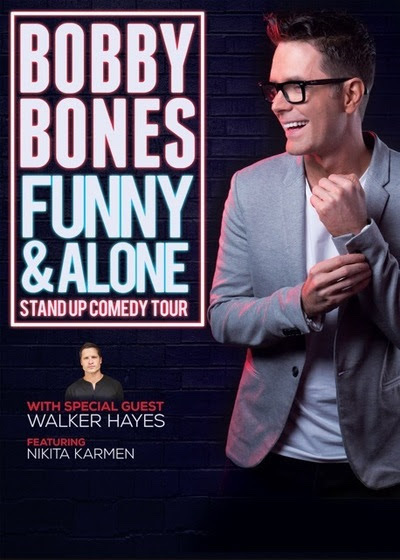 Bobby Bones, host of iHeartMedia’s The Bobby Bones Show, will be on the road in early 2017, when he launches his Funny & Alone Stand Up Comedy Tour on Jan. 13 in Virginia Beach, Virginia. Bones’ one-man stand-up routine will blend his love of country music and comedy, with stories from his childhood in rural Arkansas and also from hosting his radio show. Special guests Walker Hayes and Nikita Karmen will join him for the tour. Tickets will go on sale on Friday, Dec. 2 at 10 a.m. local time, at bobbybonescomedy.com. Jan. 13: Virginia Beach, Va.
March 25: Grand Forks, N.D.